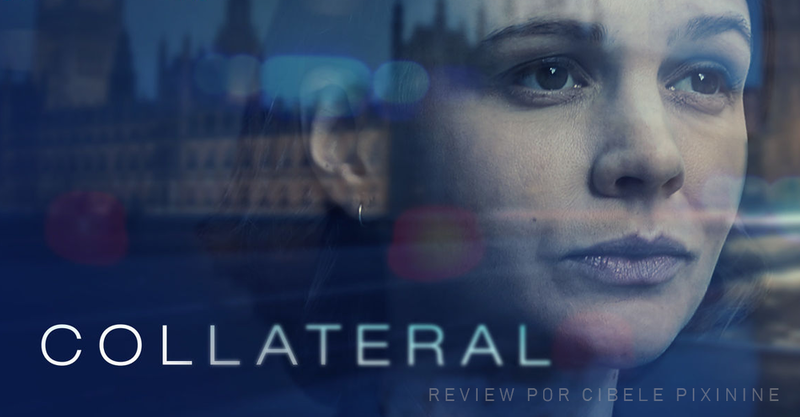 Collateral is a four-part British television drama serial, written and created by David Hare. The series, described by Hare as "a police procedural without any of that police attitudinising", stars Carey Mulligan as Kip Glaspie, a detective inspector assigned to investigate the murder of a pizza delivery driver who is gunned down in a London suburb. The ensuing story explores a complex web of characters who are all somehow connected with the story. Nathaniel Martello-White stars as Glaspie's partner, detective sergeant Nathan Bilk. Jeany Spark, Nicola Walker, John Simm and Billie Piper (of Doctor Who fame) are also credited as principal members of the cast. I'm half way through this, and enjoying the ride. Fabulous cast, great writing and top notch production values. I can point you in the direction of an open directory with Collateral. Send me a PM if interested. Family enjoyed it, I lost interest for a variety of reasons. Didn't equal up to Midsomer Murders for storyline, Broad Church for cinematography or Ms. Fischer for overall enjoyment. John Simm (The Master during David Tennant's run) and Carey Mulligan (Sally Sparrow - Blink, one of the all-time fan favorite episodes) are also of Doctor Who fame. I loved this story about the production of an hour long BBC news show in the 1950s. And season one is very much a spy story. I found my copy via torrent, and have never been able to find the episodes elsewhere. Season 1 was entertaining, with careful attention to English period detail and social convention as its humbled empire teetered on collapse. But listening to The Wire's Jimmy McNulty speak the Queen's Oxbridge is a bit creepy and the spy dimension was an unconvincing afterthought. Season 2 was rubbish. A look at how Britain embarked on an unpopular war against an Arab nation, which critics claimed was based on a lie, and which brought disgrace to the Prime Minister of the day. Sounds familiar? This documentary examines the events of Suez 1956 through interviews with many of the Egyptian politicians, solidiers and civilians who were involved - some speaking on British television for the first time. From dodgy intelligence dossiers to unexpected resistance from local people; from outraged public opinion to the collapse of a once popular prime minister's reputation, The Other Side of Suez is a timely reminder to politicians about the dangers of failing to learn the lessons of history. Reilly, Ace of Spies is a 1983 television miniseries dramatizing the life of Sidney Reilly, a Russian Jew who became one of the greatest spies ever to work for the British. Among his exploits, in the early 20th century, were the infiltration of the German General Staff in 1917 and a near-overthrow of the Bolsheviks in 1918. His reputation with women was as legendary as his genius for espionage. The mini series was written by Troy Kennedy Martin, and based on the 1967 book Ace of Spies by Robin Bruce Lockhart, whose father R. H. Bruce Lockhart was one of Reilly's fellow spies. 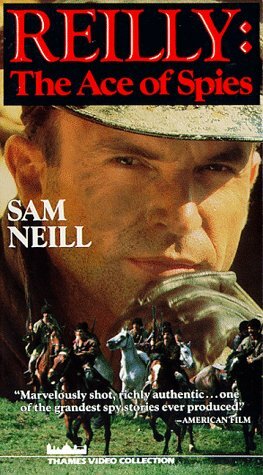 Sam Neill stars as the titular character. All twelve fifty minute episodes are available on YouTube, and can be viewed online, or downloaded for later viewing if desired. We watched this on PBS a couple of times. Yes; it's a spy series! I watched the first episode of Killing Eve tonight, and was quite entertained. This series was written by Phoebe Waller-Bridge, who also wrote and starred in Fleabag. Send me a PM if you want a link to an open directory with the Killing Eve episodes.